Since 2016, the Business Resource and Innovation Center (BRIC) has been a one-stop shop for entrepreneurs, nonprofits, inventors, and job seekers at the Free Library. We’ve helped thousands of people enhance their skills through public programs and individualized guidance in research and planning. 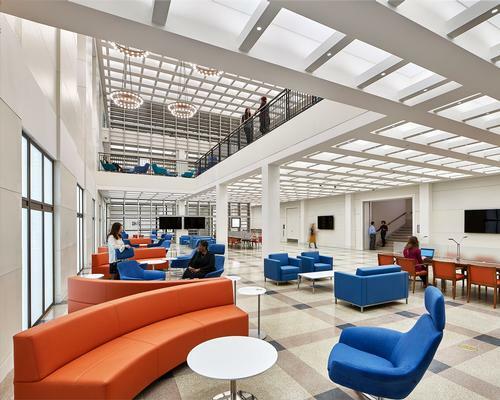 BRIC staff is thrilled to grow our services in one of Parkway Central Library’s newest public spaces, and you can join us for the grand opening event in our new home on Friday, April 12! We’ll be celebrating by offering some of our most popular services including free headshots, resume review, and open hours in the Pitch Corner! The BRIC will also continue to offer special events and panels with industry experts and partner organizations, librarian-led classes, Lunch & Learns, access to high quality databases, a comprehensive collection of print resources, and the ability to setup research appointments. View the following personal testimonials of how the BRIC has made an indelible impact on these patrons' lives. If you are already running a successful company, thinking of growing your business, or just planning your first venture—start here! Dedicated to assisting the professionals of Greater Philadelphia in all stages of business growth, the BRIC offers a variety of resources to help fit the needs of the community. Are you looking to narrow down your target market? Find your ideal demographic? Identify and analyze your competition? Trademark your logo? We can help you do that! The Regional Foundation Center is Philadelphia’s nonprofit resource center. We are invaluable in helping you find the information and data you need for responsible management and successful fundraising. Need help discovering funding opportunities? Looking for professional development workshops? Want to stay up to date on the latest nonprofit trends? Our specialized librarians, databases, print collection, and workshops are here to help! Do you have a great idea for an invention? Do you want to protect your business name, business slogan, logo, or product brand? The BRIC contains a designated Patent & Trademark Resource Center (PTRC), one of only three in the state and the only one in eastern Pennsylvania. The PTRC's our mission is to support the public, inventors, and small businesses to help them find the information they need to protect their intellectual property. The Career Center at BRIC provides current information and resources on changing careers, job searching techniques, and emerging employment fields to help career changers and job seekers achieve their goals. Whether you are writing your first resume and cover letter, need a resume makeover, or would like to learn about online job seeking resources, we're here to assist you! We are thrilled to continue offering these services to Philadelphia’s vibrant community of entrepreneurs, small businesses, nonprofits, inventors, and job seekers in our brand new space beginning on April 12! We hope you join us for our grand opening and throughout your professional journey—stop by to check out our new space and chat with staff about how the BRIC can help you! To learn more about BRIC’s services, resources, and events, visit freelibrary.org/bric! PECO and Comcast-NBCUniversal are lead sponsors of innovative workforce development programs and digital literacy classes in the new spaces. Come and see the new BRIC space during the grand opening festivities April 12-14! 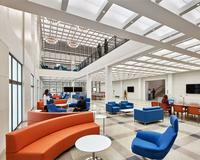 Add a Comment to The Business Resource and Innovation Center (BRIC) has a New Home!